The day trip starts in Siem Reap and we are driving closed to the Thai border in the northern province of Banteay Meanchey (3-4 hours). 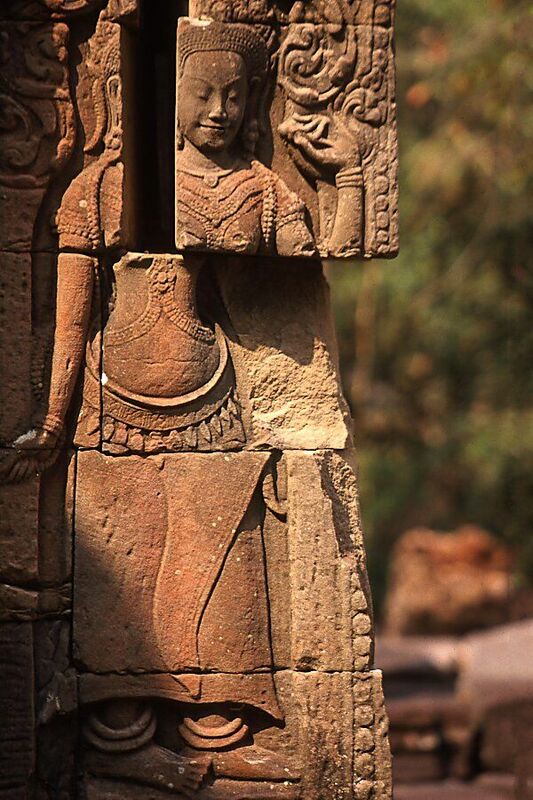 Banteay Chhmar temple was built under Jayavarman VII (1181-1220). 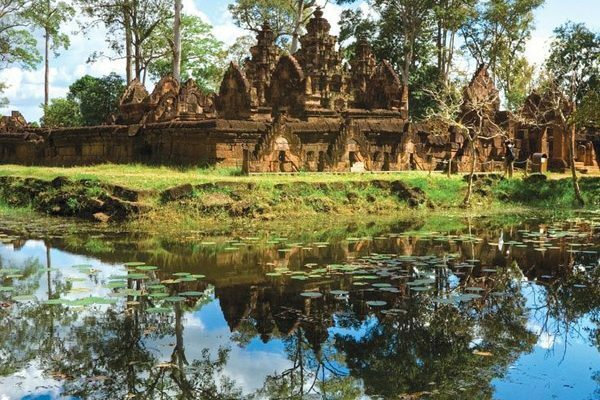 The temple is located on the former strategic road from Angkor to Phimai (today’s Thailand), also built under Jayavarman VII. Like Boeng Mealea. 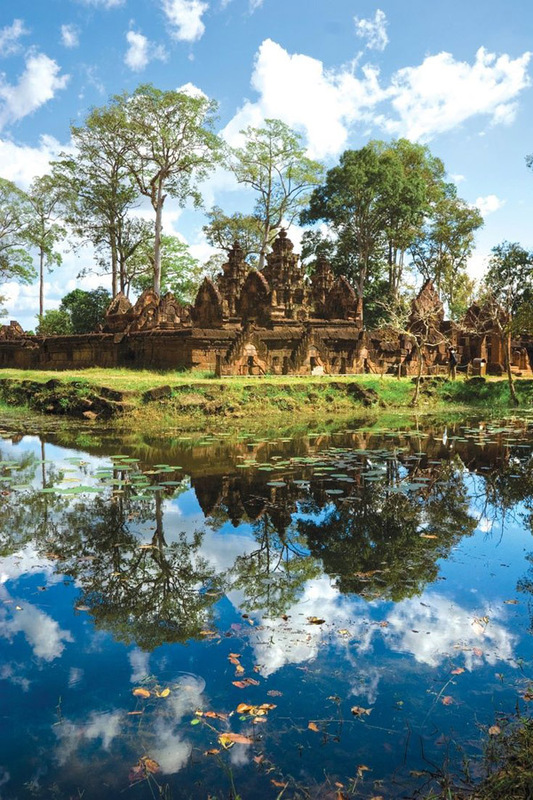 The temple Banteay Chhmar is situated in the middle of the Cambodian jungle. 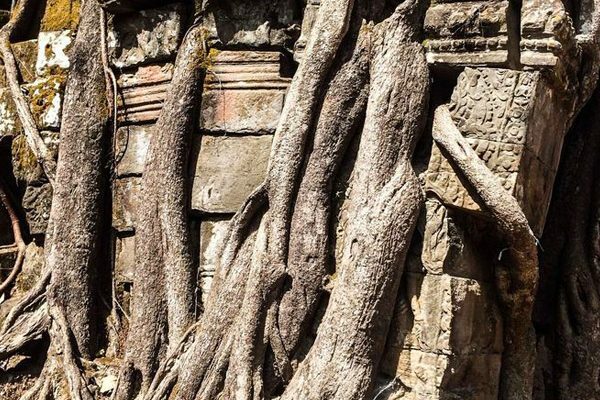 It is a special experience within these temple ruins with a lot of trees. 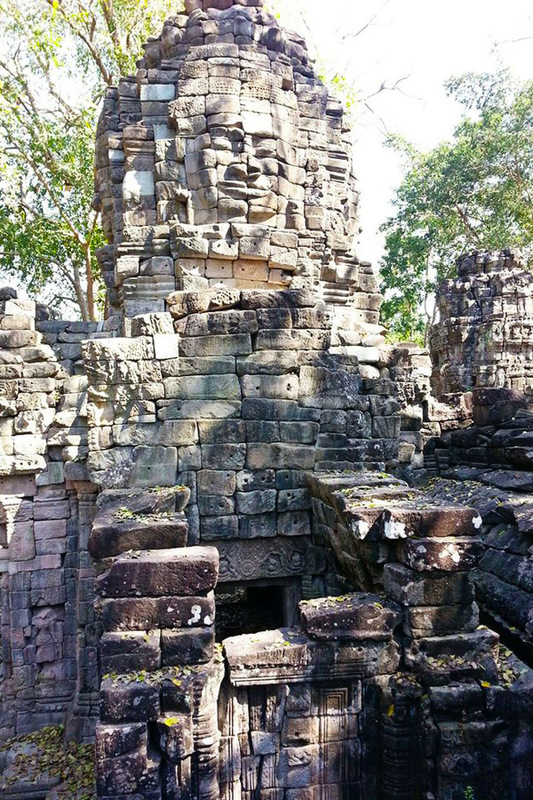 With its towers with four faces and the bas-relief Banteay Chhmar recalls Bayon. 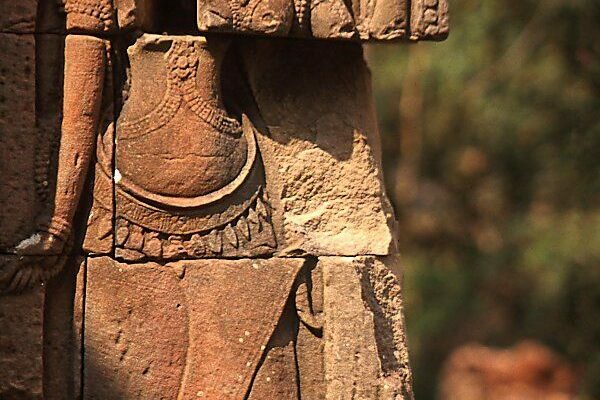 The reliefs of Banteay Chhmar show, among others, the naval battle against the Cham around 1180. 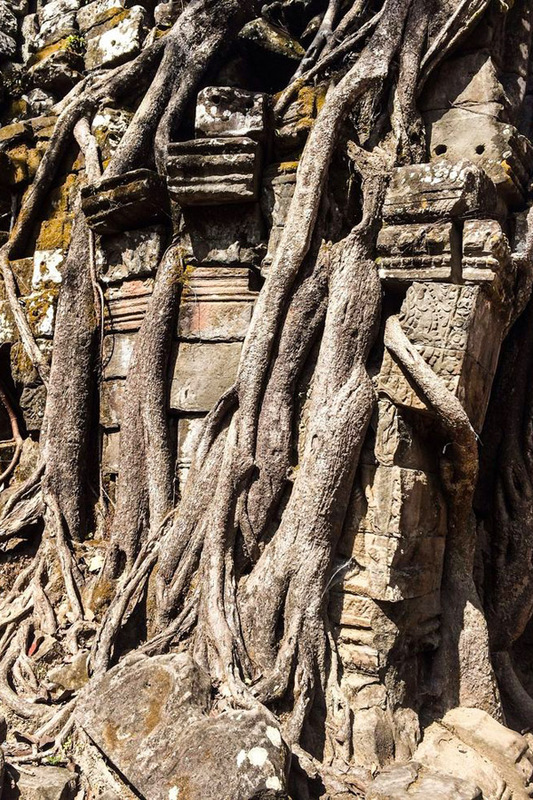 Similar to the trip to Koh Ker and Boeng Mealea temples, the journey leads through inhabited agricultural areas but also uninhabited areas. In addition, the traveller leaves the well-preserved streets and feels somewhat remote from civilization. A quite exotic side trip. 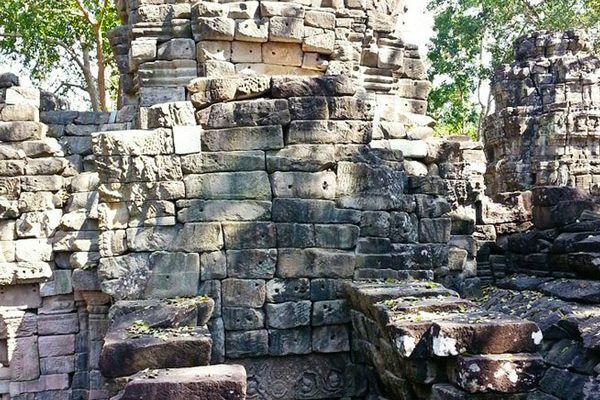 We can also offer a 2-3 days (1-2 nights) trip to Banteay Chhmar with homestay overnights.